Amazon Household. The Amazon household is a platform that allows you to share your prime benefits with another adult, teens, and children in your household without any additional cost. Adults and teens can both share benefits using the family library. The first step in setting up Amazon household is creating an Amazon account. Creating an Amazon account is really easy but can seem difficult for those new to Amazon. Follow the guidelines below to open an Amazon account. Proceed to the official Amazon account at www.amazon.com. On the page, you are directed to, hover on the “Accounts and list” tab. On the new menu, click the “Start here” link. You will be directed to a new page, from this page fill the form with the right information and click on Create Account. The next step is verifying your Email account, simply do this by keying in the code that was sent to you. Once your account is verified, you would be logged in to your new amazon account. You can start using Amazon household if you already have an amazon account and do not wish to create a new one. Follow the steps below to log in to your old Amazon account. Use your mouse to hover on accounts and lists. From the drop down menu, click on sign in. Enter your account details, such as your email address or mobile number and your password. If you wish to remain signed in, check the box before the text “keep me signed in”. Now click on “Sign In”. If your account details are correct, you would be logged in to your amazon account. The Amazon household allows the user to connect and share amazon benefits with the family. 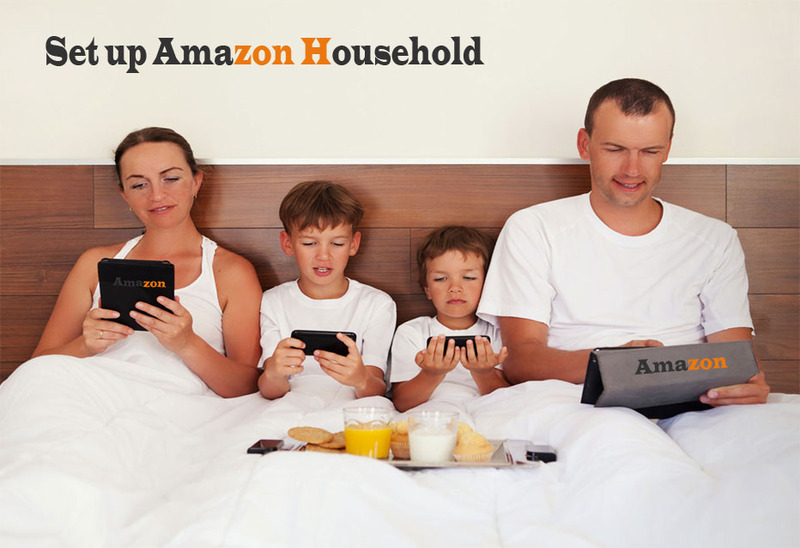 The amazonhousehold allows up two adult users (18 or above the age of 18), four teenage users (within the age of 13 to 17) and four children users (12 and under the age of 12). To add a member to the Amazon household, follow the steps below. To get started, sign in to your amazon account. Open a new tab and follow this URL (https://www.amazon.com/myh/households). On this page, you would find everything you need to know about amazon household. To add a member, scroll to the bottom of the page and click. ‘Add adult’ to add an adult. You need this ‘Add a teen’ to add a teenager. ‘Add a child’ to add a child. After clicking, key in the user’s name and mail address.